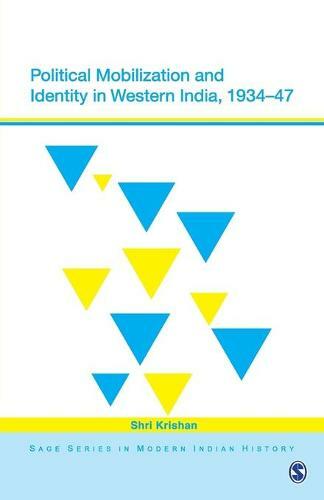 The processes of political mobilization and identity formation in the rural regions of Bombay Presidency between 1934 and 1947 are the major focus of this work. Studying the politics of the masses, their aspirations and demands-both within the formal institutional frameworks of the colonial `public space` as well as outside it-this book provides insights into political and social change in 20th century India. - Details the multiple forms of mobilization and resistance among various groups-women, peasants, elites, lower castes and tribals. - Delineates various facets of peasant mobilization over 1934-47, including the peasants` response to political processes and their relationship with political associations, and the nature of agrarian conflicts as well as that of peasants` identity. - Studies both the collective action of tribals-in the form of crimes for survival, religious reform and politically motivated struggle-and Dalit mobilization around the issue of untouchability. Focusing on the rural regions of the Bombay Presidency in the period 1934-47, this study examines the multiple forms of political mobilization and resistance among various groups (women, peasants, elites, lower castes, and tribals) and relates this mobilization to the process of identity formation.